Ah breakfast, oft lauded as the most important meal of the day, the food that wakes us up and fuels us through those first few crucial hours of the day. When you’re travelling, a foreign breakfast is usually the hardest thing to get along with, no matter how much you love your destination’s cuisine. Whilst most places throughout Asia will serve up the usual toast, cereals and eggs for visitors, giving the local breakfast foods a try, be it from the breakfast buffet or freshly cooked from a street stall, will earn you some serious travel kudos! Soybean milk and deep fried dough sticks – a warm milky drink with dunky dough, what’s not to love? Steamed buns – popular at any time of day, early in the morning there are sweet and salty steamed bun options, filled with meats, soups or pastes. Wheat noodles – particularly big in north China, this is a hot and flavourful way to start the day, usually served with meat and a veg or two. 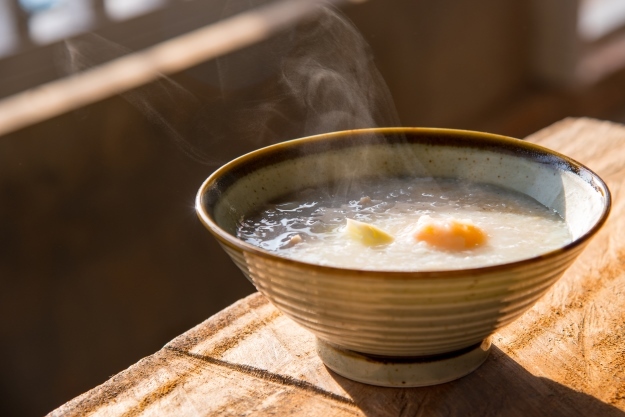 Rice porridge/congee – this one is more of an acquired taste, a rice or grain based savoury porridge usually served with things like pickled vegetables and fermented tofu. It can also be sweet and a range of striking colours! 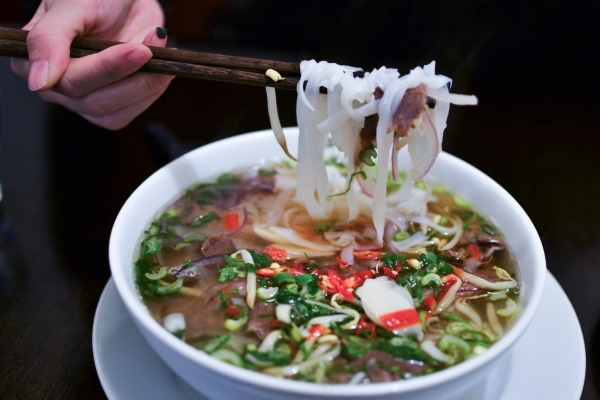 Pho – a popular dish all over the world, and available to eat at any time of day, this perfectly spiced soup with noodles, served with veggies, beef or chicken is a nourishing fast-breaker. Xoi – balls of sticky rice sold from many a street stall, Xoi comes with things like peanuts, corn or green beans. Good to eat on the go. 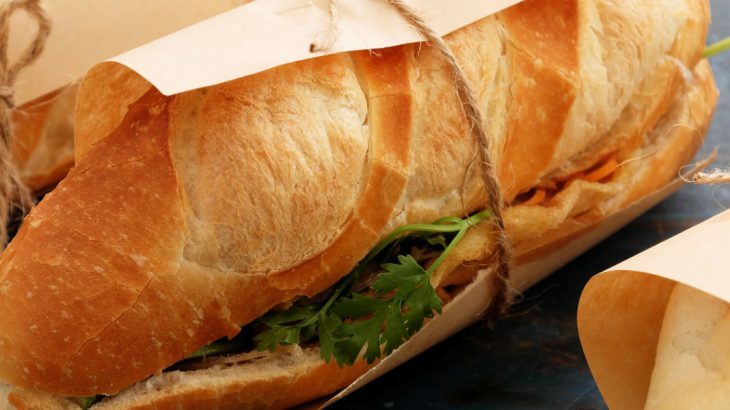 Banh mi – an example of that Vietnamese/French fusion, this baguette sandwich is a popular, filling choice, and a bit easier to wrap our Western taste buds around. Fried eggs and salad is a good’un. Mien – for those fish lovers out there, this dish of glass noodles made with seaweed and cassava flour in a sour broth is usually served with seafood is a great option for you! Everyday breakfast – for many, an everyday breakfast might consist of toast, butter, ham, egg and salad. Yes, salad is quite a normal breakfast item in Japan and a great way to get your greens in early! Traditional breakfast – tamago-nato is a dish made up on rice, raw egg and soy sauce, all mixed together and slurped up. 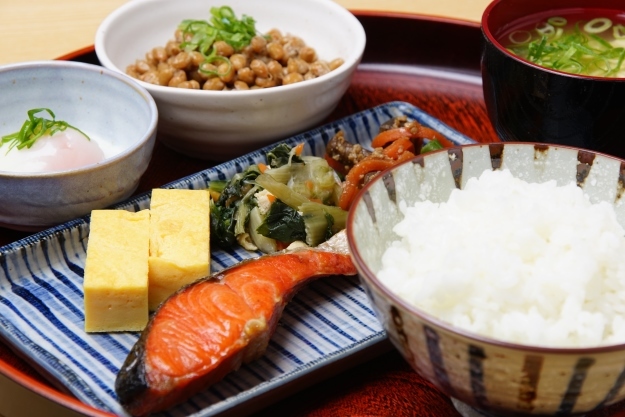 Natto, fermented soy beans, are also a traditional choice, alongside miso soup, nori and Japanese pickles. Chuck in a bit of fried fish and you’ll be breakfasting in true local style. Another huge country, breakfast foods again vary across India, with many sweet and savoury options to try! Depending on whereabouts in the country you are, the base of the breakfast will change – whether there is or isn’t rice, the type of wheat-based element (rotis, dosas, parathas etc) and the levels of spice, fruit or vegetable ingredients and so on. Really, you could travel all around India and eat something different for breakfast everyday – now that’s a good challenge! Chole Bhature – spicy white chickpeas and fried bread make a fiery and filling start to the day! 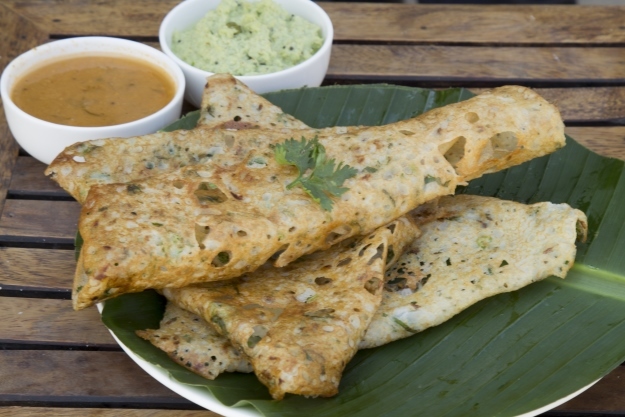 Masala dosa – this stuffed pancake delight uses rice, lentils, potatoes and curry leaves and is served with chutneys and sambar, though this will vary from place to place. Idli – a traditional breakfast choice, this savoury cake made from fermented black lentils and rice. It’s served hot and because of its quite plain taste, it comes with sambar and chutneys for dipping. Eggs and bread – whipped up at home or purchased from a street vendor, this classic choice is enjoyed across India, usually served up with a local twist for extra flavour. Tuck in! General adventure, breakfast, food and drink, travel. permalink.